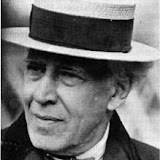 During his career as a young actor, Stanislavski felt tense on stage. Later in life, he examined ways to help an actor relax and focus on stage. An actor could focus by concentrating on a small circle, himself and one other actor or prop. The actor, once focused on this small circle, extends his attention to a medium circle that includes more actors or larger props. After truly focusing on this, the actor can extend the focus of the large circle of attention to cover the entire stage. If an actor loses concentration, he can retreat into the small circle before building up to a large circle again. This enables actors to achieve public solitude. * All rights reserved : No part of this publication (or related documents) may be reproduced or transmitted in any form (in whole or in part) by any means, electrical, optical or mechanical, including photocopy, recording or any information storage or retrieval system, without permission in writing from the publisher. Limited Use : Permission is granted to access, view and download these documents from our web site under the following conditions: Documents must; (a) be for personal use [or for educational or teaching purposes], (b) must not be sold or otherwise used for profit and, (c) must be left intact, unaltered and be complete with all Headers, Footers and Copyright notices. A few words about navigation and the road signs. Visual Inventory.